Folgen Sie uns auf Facebook, um in Kontakt zu bleiben und an der Unterhaltung teilzunehmen. Willkommen bei unserer 10 Europäischen ELACTA Konferenz! Für Delegierte: Klicken Sie hier, um die letzten detaillierten Informationen für die Konferenz zu erhalten! Bitte, Klicken sie hier für das Programm! Freitags und Samstags Simultan-Übersetzungen in die deutsche Sprache. Leider ist noch nicht alles auf Deutsch übersetzt. Wir Entschuldigen uns dass wir Sie verweisen müssen auf den englischen Abschnitt der Website. Für Registrierung ist ​das Formular auf Deutsch automatisch verfügbar wenn Sie auf Englisches ´Register here´ klickt. You can register for the membership fee, if the National Association of which you are a member, is a member of ELACTA or if you are an official Individual Member of ELACTA. All other delegates can register for the Non-member fee. Please visit the Members Page for more information on membership. Cancellations and refund requests must be submitted in writing to the conference secretariat. Cancellations made before 1 February 2018 will be refunded less 30% to cover administration costs. After this date no refunds will be given. All refunds will be made after the conference. The call for abstracts is closed. Deadline for abstracts submission was 1 November 2017. The oral presentations are choosen. The posters will be presented during Friday and Saturday in the Queens Lounge. On Thursday 17 May 2018, from 17.00 – 18.30 the welcome reception will take place in the Town Hall. The organisers offer transportation. (ticket €7,50). You are cordially invited to the Captains dinner. Meet the speakers of the 10th Elacta Conference, in the Grand Ballroom of the Ship. Tickets can be bought at €60 per person. On Friday 18 May 2018, you can register for the partner program. Your partner and children are welcome for a tour in the Harbour with visit to the famous mills of ‚Kinderdijk‘. You can register for the partner program for €50 per person. Please make your reservation(s) when you register online. Register for the European Regional Meeting for €60,-. Register for this meeting during your online registration. *Please note that members of ABM have priority. Non-ABM members are placed on a waiting list. You will be notified in March and in case of non-availability, your fee for this program is refunded. Efficient Hotel Partner has been appointed as the official hotel booking agency. The selected hotels are all at walking distance to the congress venue. We have booked rooms in different price categories, both for groups and individuals, at the best possible rates. You are encouraged to book your room well in advance in order to avoid last minute problems. 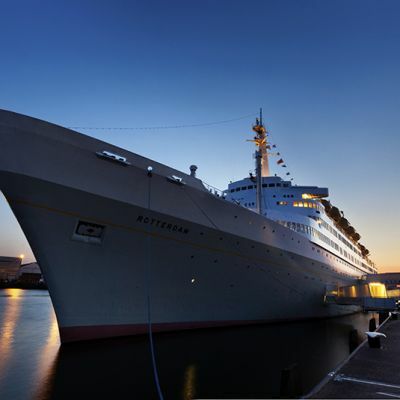 The SS Rotterdam can be reached via different options. 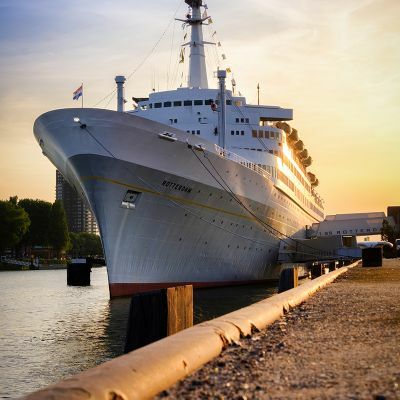 When using navigation to drive to the ss Rotterdam, please enter ‘Maashavenkade’ as your destination. This street will turn into 3e Katendrechtsehoofd. 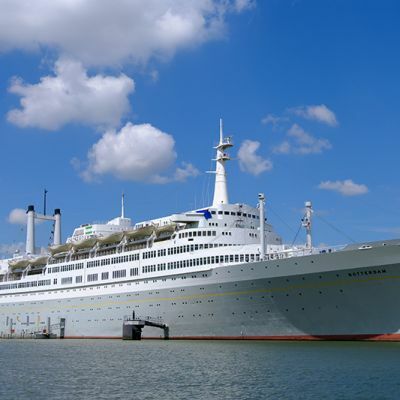 The ss Rotterdam car park is located in front of the ship. The rates for parking are €3,- an hour or €15,- for 24 hours. Parking can be paid for in cash and debit card. 1. Take Metro’s D or E to Slinge or De Akkers. 2. 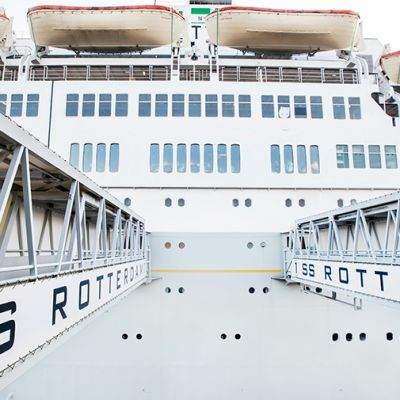 From metro station Rijnhaven, take bus 77 to ss Rotterdam. 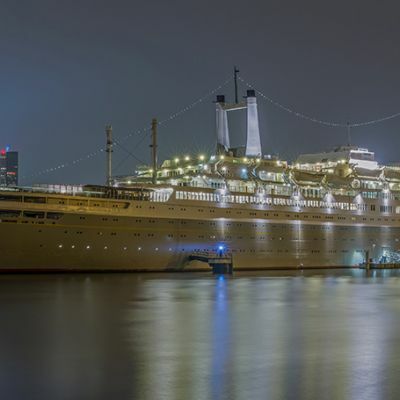 The ss Rotterdam is well served by public transport. The free shuttle takes you to the metro station if desired Rijnhaven or vica versa. This free shuttle commutes at fixed times. Air Rotterdam is easy accessible from international destinations. Rotterdam the Hague Airport is less than 6 km northwest of Rotterdam. The major hub at Schiphol Airport is only 25 minutes away from the city centre by high speed train. Benefit from discounted fares on AIR FRANCE and KLM flights when travelling to international events for which AIR FRANCE and KLM are official carriers. Please book your flight via this link or use the Event ID code: 30769AF on this website.